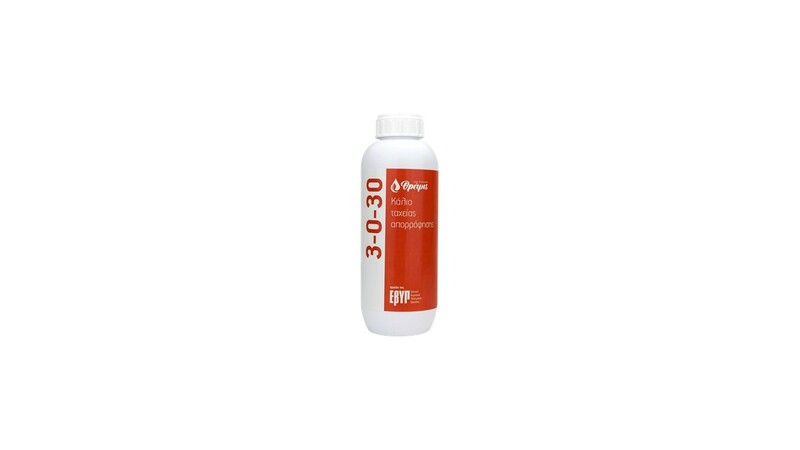 3-0-30 is a liquid fast-absorption Potassium fertiliser, suitable for crops with high Potassium requirements or for crop stages requiring an immediate uptake of high Potassium quantities. Its slow-release Nitrogen contributes to the better and faster uptake and use of Potassium. 3-0-30 is suitable for application both by foliar sprayings and fertigation. General dosage for foliar sprayings: 200-500 ml / 100 It spray solution according to the needs of each crop in repeated applications. Tree crops, Vines: Foliar sprays using 3-5 It / 1000 It water per 10.000 m2 or 1 -2 It/1000 m2 with fertigation.